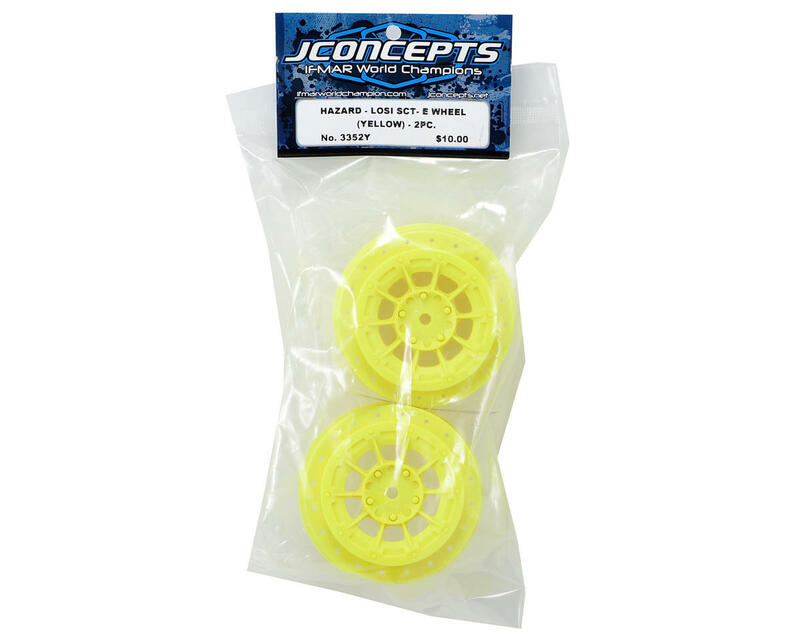 This is a set of JConcepts 12mm Hex Hazard Wheels, and are intended for use with the Losi TEN-SCTE 4WD 1/10 Scale Short Course Truck. Short Course trucks have evolved into high-performance racing vehicles and dependability and looks are always the key to success. 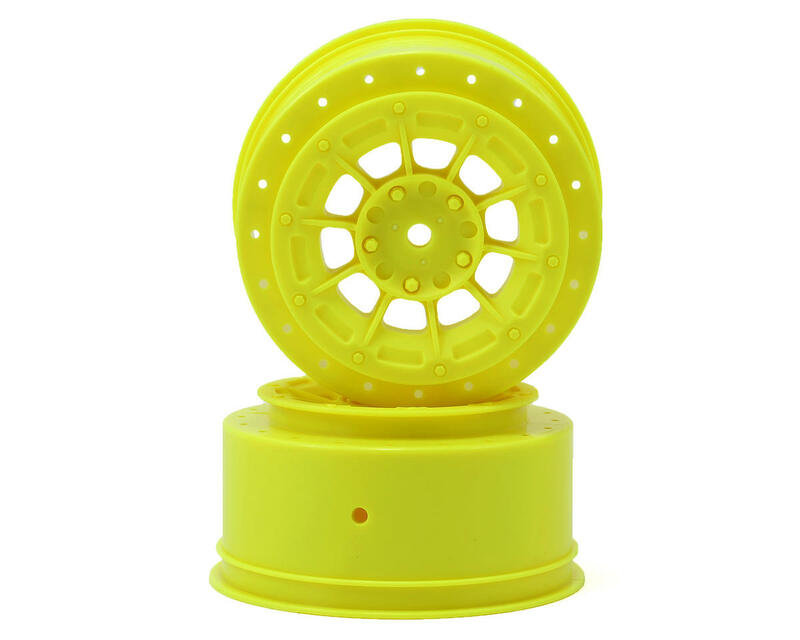 Introducing the Hazard 12mm hex wheel for the Losi SCT-E by JConcepts. A powerful new look that combines the winning combination of a 10 spoke design, bead-lock appearance and center lug nut detail with a hint of inspiration from yesteryear. Already a champion, the Hazard style wheel earned the top qualifying position and 1st place at the 2011 ROAR Off-Road Nationals in the Pro 2 modified class in the hands of Ryan Maifield. A dominating performance taking the TQ in the first 3 rounds of qualifying and 1st place in A-main #1 and 2 to take and retain the title for JConcepts. Wheel profile, interior and exterior ribbing and spoke design were all areas of focus while creating the combination of durability, clearance, functionality and appearance. With 3 color options and a matte face appearance, being unique is worry free as practically any paint scheme can be matched to these exciting new wheels. The hassle-free and lightweight 1-piece design creates the ultimate race and show wheel for any competition. Please update to show compatibility with 22 SCT. I'm going to assume that any of the Hazard wheels with the part number 3352 will be compatible with the Losi 22 SCT (or SCT 22 2.0 in my case). Appears to have the same offset as the official wheels. But I think the Hazards have the best style of what's available. I also run the versions for the Traxxas Slash 4x4.